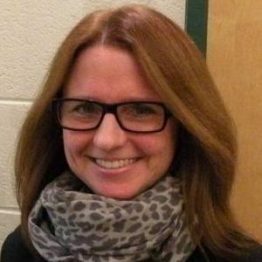 Buffy J. Hamilton is currently a school librarian at Norcross High School in metropolitan Atlanta. Hamilton, formerly the Learning Strategist for the Cleveland Public Library, has over 20 years of experience in public education as a secondary English teacher and the lead librarian of “The Unquiet Library” at Creekview High School in the Cherokee County School District. Hamilton’s research and practitioner interests include participatory learning and culture, ethnographic studies, digital composition, critical pedagogy, and social scholarship. Buffy is a 2011 Library Journal Mover and Shaker; a 2011 winner of the (ALA) Office for Information Technology Policy (OITP) Cutting Edge Library Service Award; the 2010 Georgia Library Media Specialist of the Year; and a 2010 National School Boards Association Technology Leadership Network “20 to Watch.” She blogs at The Unquiet Librarian, winner of the 2011 Salem Press Best School Library Blog Award.